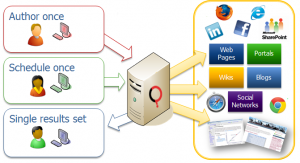 The best way to describe the wizardry at work in Questionmark is to see it happen. 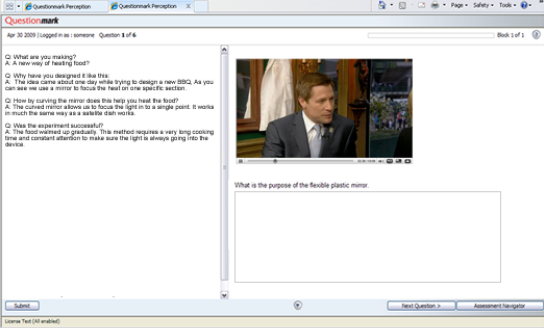 Click here and watch what happens to the assessment screen as you resize it in your browser window. Did you miss it? Try it again. What you would have see (if you are using a supported web browser) is the assessment screen resizing and adjusting to accommodate the screen size. When reducing your browser, the buttons get smaller, the text wraps the screen and resizes so it’s still readable, and the date and time disappear when there is not enough space. If you are not using a supported browser or you are using a mobile device, you would see Questionmark’s ability to auto-detect your browser/device and display a compatible version of the assessment. To find out more about auto-sensing/auto-sizing and the blended delivery options supported by Questionmark, click here. This post is part of the accessibility series I am running. Here we will look at ensuring text and table elements are accessible. The text you use does not contain any inline styles that may confuse a screen reader. Any tables in your content use captions and header information to ensure the screen reader can distinguish content. If you have copied and pasted text from another application, particularly Microsoft Word, you may find when looking at the HTML code that the question contains extraneous HTML. For example, when content is copied and pasted from Microsoft Word, the text copied will appear as follows in the HTML tab. The text copied includes HTML mark-up tags which override the style determined by the templates and could affect how a screen reader interprets what is on the screen. The HTML used to provide the formatting can be viewed in the HTML tab of the Advanced HTML Editor in Authoring Manager and should be cleaned up as much as possible. By using the <caption>, <thead> and <tfoot> tags in your table you can clearly identify parts of the table to be read by the screen reader. For more information see the W3C recommendations for non-visual user agents. 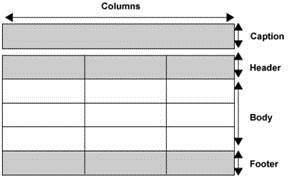 These tables can be added by using the Advanced HTML Editor in Authoring Manager. This post is part of the accessibility series I am running. We will look at using media and images in questions and how to ensure these are accessible. 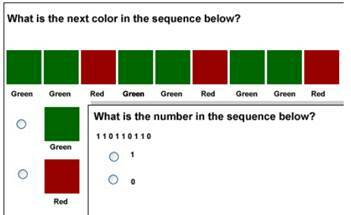 Ensure color is not the only way to distinguish among different pieces of stimulus or answers. 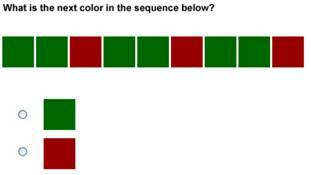 Common forms of color blindness (affecting up to 5% of the population) could make answering questions difficult. You should, where possible, change how the information is portrayed or include other indicators. When including graphics always include ALT (Alternative) text. This will be displayed when a participant hovers the mouse pointer over an image or if a screen reader is being used. If you are using Adobe Flash media, make sure that it has been created in an accessible fashion. Refer to the Adobe guidelines for Flash and Captivate. Embed a YouTube video, using the Closed Caption feature to include subtitles of any dialog in the video.Provide a video transcript within an assessment, using Questionmark’s Side-By-Side template. Over the next few weeks I’ll be releasing several “How To” blog posts that I hope will provide some insight in to the features and functionality available to Questionmark users. 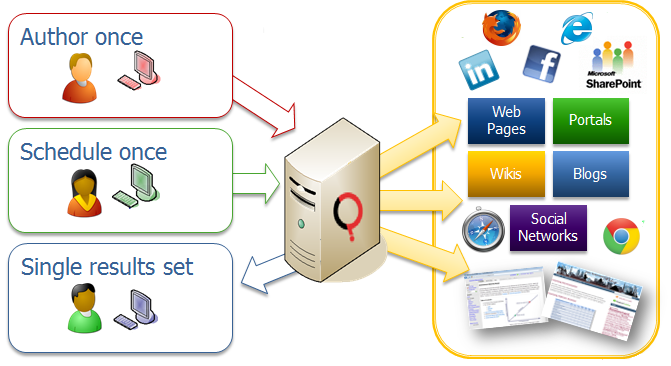 • How-to tweak Questionmark’s accessibility features to suit your specific needs. This series will consist of several video demonstrations and some explanations of basics concepts. I hope you will join me as I take a look at making assessments accessible.